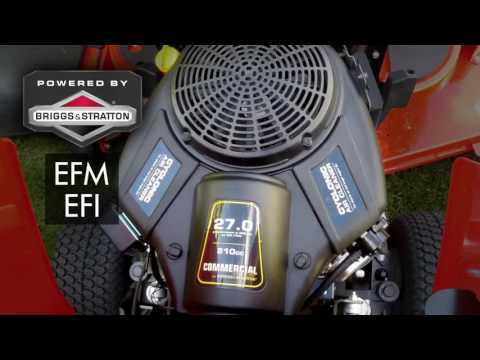 The turbo blower tractor attachment easily attaches to the mower and gets power directly from the mower rather than an expensive auxiliary engine design. Available for the 50” and 52” mower deck sizes. Make short work of the deepest snow with this rugged single-stage snow blower attachment. Includes electric chute rotator. Three-foot-wide swatch prepares soil quickly for planting. The Simplicity tiller tractor attachment comes with heavy-duty steel tines. Weight carrier and weights install easily. Weights (33- or 50-lbs each) enhance traction on your mower with front tractor attachments or on slippery ground .Only available on 2WD models. This sturdy, 10-cu. ft., multi-purpose cart is great for yard chores and easy to attach. Can be angled in multiple positions and is spring-loaded to absorb shock and clear snow away from driveways or sidewalks. Aerate 48'' wide and up to 3'' deep. Allows for fertilizing roots in the fall and a quick start for seed in the spring. Make heavy-duty snow removal easy with a two-stage snow blower.